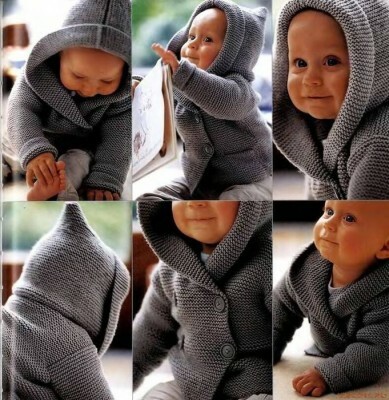 Assign jacket can be for a boy from zero months to a year old. 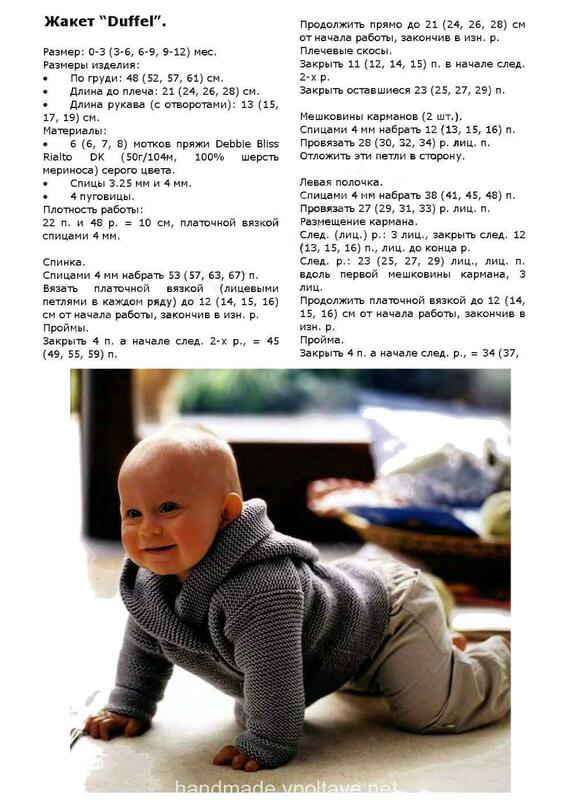 Sizes: 0-3 months, 3-6, 6-9, 9-12 months. Dimensions zhaketika chest: 48 cm; 52 cm; 57 cm; 61 cm. Length zhaketika to shoulder: 21 cm; 24 cm; 26 cm; 28 cm. Length sleeves with cuffs zhaketika: 13 cm; 15 cm; 17 cm; 19 cm. Knitting need: 300 - 400 grams of gray yarn (depending on size), which included 100% merino wool, the meter 104 meter in 50 grams, as well as spokes №3,25; №4, and 4 buttons. 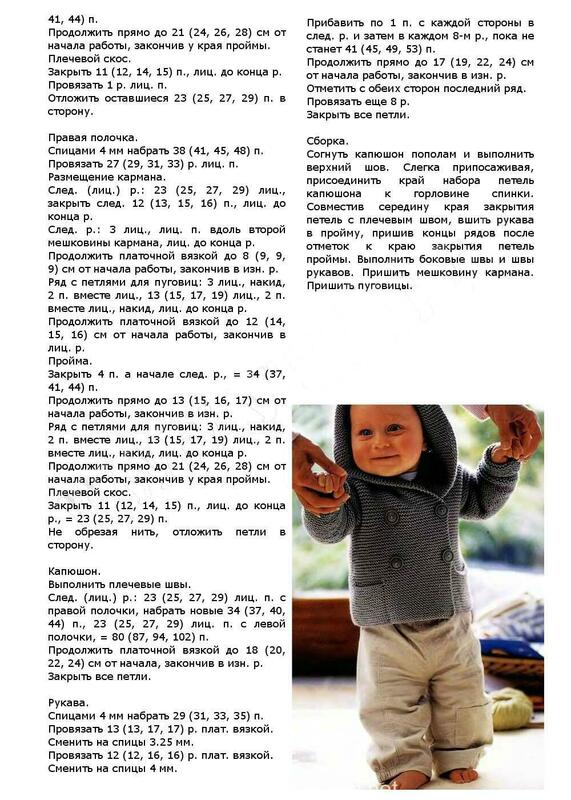 This entry was posted in Knitting for children, Одежда для мальчиков and tagged вязаный, for boy, jacket, spokes, стильный by by Marina Morgun. Bookmark the permalink.